An alarming milestone was reached this past spring: the amount of carbon dioxide in the atmosphere exceeded 400 ppm for the first time in human history. The reason is clear: humans have been burning fossil fuels at an ever-increasing rate and those carbon-based, non-renewable fuels are producing the CO2 that in turn warms the earth and causes climate change. About seven years ago, when the CO2 atmospheric concentration was “only” 380 ppm – way above the pre-industrial revolution historical average of ~280 ppm – I began a deliberate re-orientation of all of my research to do whatever I could to help move the planet onto a sustainable energy path. How? And what does quantum mechanics have to do with the future of the planet? The foundational theory behind of all my research is quantum mechanics, which accounts for the fundamental physics governing the energy and spatial distributions of electrons in matter. I develop mathematical and physical approximations to the Schrödinger wave equation (SWE), whose eigenvalues and eigenfunctions delineate the distribution of electrons in energy and space, respectively. The SWE cannot be solved exactly except in the limit of a single electron; hence the need for approximations that still contain the essential physics of the phenomenon or matter under investigation. I will touch on such approximations but will primarily give examples of how these powerful methods can be used to study systems that aim to render sustainable energy a reality: from biodiesel fuel combustion to solar energy conversion to electricity and fuels to fuel cells to fusion reactors. I aim to give you a taste of what is possible, given proper attention and investment, for the future of the planet. Professor Carter is the Founding Director of the Andlinger Center for Energy and the Environment at Princeton University and the Gerhard R. Andlinger Professor in Energy and the Environment, as well as Professor of Mechanical and Aerospace Engineering and Applied and Computational Mathematics. Her current research is focused entirely on enabling discovery and design of molecules and materials for sustainable energy, including converting sunlight to electricity and fuels, providing clean electricity from solid oxide fuel cells, clean and efficient combustion of biofuels, optimizing lightweight metal alloys for fuel-efficient vehicles, and characterizing hydrogen isotope incorporation into plasma facing components of fusion reactors. She received her B.S. in Chemistry from UC Berkeley in 1982 (graduating Phi Beta Kappa) and her Ph.D. in Chemistry from Caltech in 1987. After a year as a postdoctoral researcher at the University of Colorado, Boulder, she spent the next 16 years on the faculty of UCLA as a Professor of Chemistry and later also of Materials Science and Engineering. She moved to Princeton University in 2004. She holds courtesy appointments in Chemistry, Chemical and Biological Engineering, and three interdisciplinary institutes (PICSciE, PRISM, and PEI). The author of over 275 publications, she has delivered more than 440 invited lectures all over the world and serves on numerous international advisory boards spanning a wide range of disciplines. 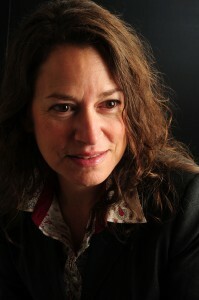 Her scholarly work has been recognized by a number of national and international awards and honors from a variety of entities, including the American Chemical Society (ACS), the American Vacuum Society, the American Physical Society, the American Association for the Advancement of Science, and the International Academy of Quantum Molecular Science. She received the 2007 ACS Award for Computers in Chemical and Pharmaceutical Research, was elected in 2008 to both the American Academy of Arts and Sciences and the National Academy of Sciences, in 2009 was elected to the International Academy of Quantum Molecular Science, in 2011 was awarded the August Wilhelm von Hoffmann Lecture of the German Chemical Society, and in 2012 received a Docteur Honoris Causa from the Ecole Polytechnique Federale de Lausanne. You can learn more about her at http://carter.princeton.edu.